Due to a great rise in the technical field, maximum student nowadays opts for Computer Science. Many of them want to create something on their own, but 80% of them are unsure which work environment to start from. They all look for a text editor or IDE which can increase their productivity, I was one of them. If you are a Beginner and have No or Basic knowledge of programming then you should never go for an IDE because it is more of a complicated software and becomes handy when you are working on some big projects. Times are gone when people used to write codes in Notepad and then save the files and then run in a browser. Text Editors nowadays are much more advanced and come with Rich Snippets, a great plugins support, and better usability. If you are working with C++, then just change your language syntax from your text editors setting then you are good to go. It will start highlighting your codes just like rich snippets. 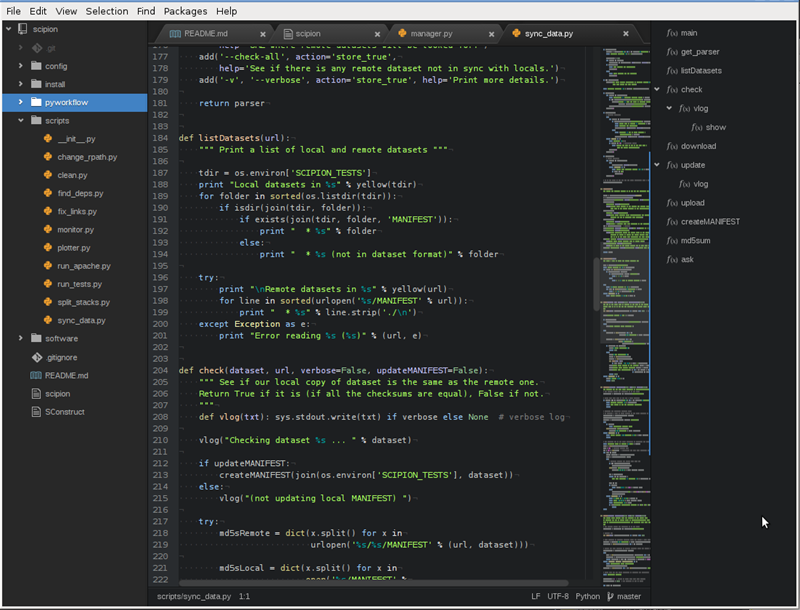 Sublime Text is a cross-platform text editor which supports Mac, Windows, and Linux. It is the fastest text editor with maximum plugins and community support. It's like Linux if you want you can use it simply to satisfy your needs or you can modify it to become an operating beast. Same goes with this text editor, you get hell lot of plugin support. Right after installation you get Rich Snippets which don't need to be downloaded, you just click on View -> Syntax and choose your desired language. Sublime Text is not free but you don't get any limitations if you don't buy one except few "Support Us" pop-ups which rise after every 1-2 days. They are not that annoying but if you really love Sublime Text and want to support Developers then a paid version costs you $70 which is expensive than its competitors. For Installing Packages, you get a command palette which helps you install new packages with ease. Atom is a free, open source text editor which can run in Mac OS, Windows and Linux with ease. It looks like a clone of Sublime Text but comes with better functionality. The best part about Atom is that you can convert it into a full fledged IDE from its much more advanced plugins. Usability of Atom is identical to Sublime but pre-installed color schemes in Atom are much more pleasant to eyes and makes it possible for you to use it for a much longer time. Atom is written using Web Technologies which makes it amazingly fast but not as fast as Sublime Text. It is the only place where Atom lacks behind Sublime Text – Speed. Atom is considerably bigger in size respected to Sublime Text. Sublime installation files are of about 8 MB and Atom's installation file is of approx. 230 MB which further expands to 325 MB after installation. There have been many complaints from users world about Atom freezing their devices and causing malfunctioning, but it's not an issue now its developers have managed to fix it out. If you have a PC with good hardware specifications then I will personally prefer you to go for Atom rather than going for Sublime Text because it is better and comes with Dual Windows and a Live support as well. Dual Window helps you to edit two files at the same time in Atom itself whereas Live helps you to see the changes you made in your code file simultaneously which makes developing much easier. Atom is Free and can be downloaded from their official website. Notepad ++ is another Free Source program in fight of Top 3 Text Editors for programming. It's an upgraded version of old Windows Notepad. You get better usability, line counts, plugins support same as text editors above not that great, support for every file which contains text in it. If you are using Sublime or Atom for programming then they are great but if you want to open miscellaneous files with those editors they either show them unidentifiable format or fails to open them, it's the place where Notepad ++ comes to rescue. It has the capability to open all files containing text as is. 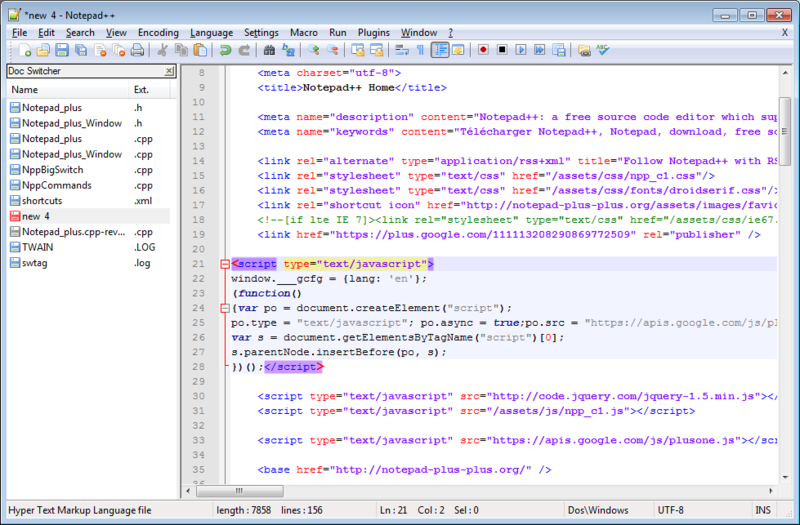 Notepad ++ is also free and can be downloaded from their official website. I have been working with Sublime Text and Atom both from a long time. Best thing I like about Sublime is that it saves a copy of the file in its dump files as you type, so in case of an unexpected shut down or any another happening your file is still safe and can be easily opened by relaunching that program which makes it practical to use. On the other hand, Atom comes with better plugins support and I use a whole lot of them. I usually code most of my projects in Atom and prefer it over Sublime Text because of my Hell of a Machine. Very useful article specially the comparison between the three products. I have only used simple text editor that is notepad in windows. I prefer to write in notepad rather word or any other app due to ease of transporting text file from one place to other. It takes less space in memory also. Another thing is cut and paste of written data can also be easily handled. After reading this article I am thinking to load notepad++ and use that for my texts or h-texts.